Gone are the days of "gluten-free" meaning subpar or second-rate. Parents used to be baffled at the notion of finding mouth-watering and enticing birthday cake, cupcakes or special occasion desserts that were made without wheat and other ingredients that gluten intolerant kids can't safely enjoy. 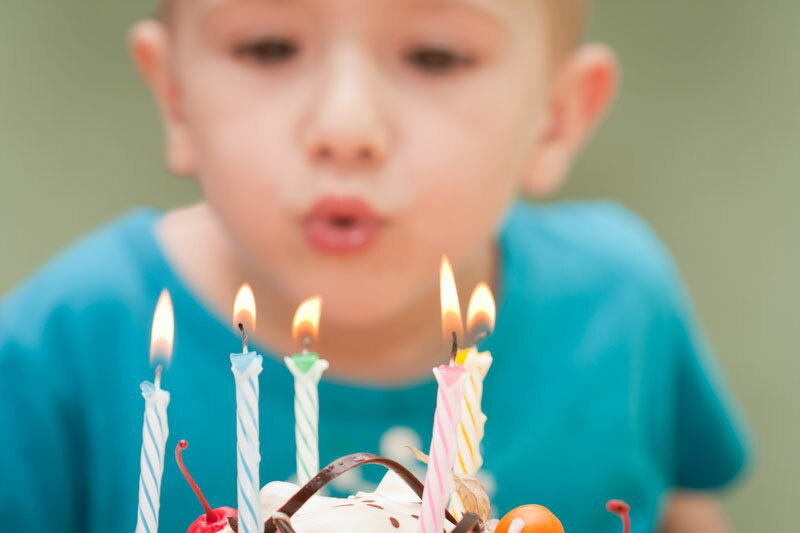 But a lot has changed in recent years, and the once alternative diet now holds its own with options aplenty that will wow and delight children when it comes time to blow out the candles and celebrate another glorious year. We rounded up 7 of our favorite gluten-free desserts from traditional vanilla and chocolate cakes, and festive cupcakes, to a fruit tart and ice cream sandwich cookies! These recipes are an inspirational guideline. We recommend substituting organic ingredients wherever possible, if not indicated. Read on to feast your eyes on these goodies and start planning the next birthday party on your calendar. One of the best options for a birthday treat is a cupcake – easy to transport, just the right serving size and perfect for little hands to hold. What makes a cupcake even better is when it comes complete with chocolate, whipped topping and a cherry on top! These gluten-free chocolate sundae cupcakes just scream birthday party – but we won’t hold it against you if you enjoy them out of the blue every now and again. My all time favorite birthday cake is vanilla – it is just so simple and it tastes delicious paired with any ice cream. 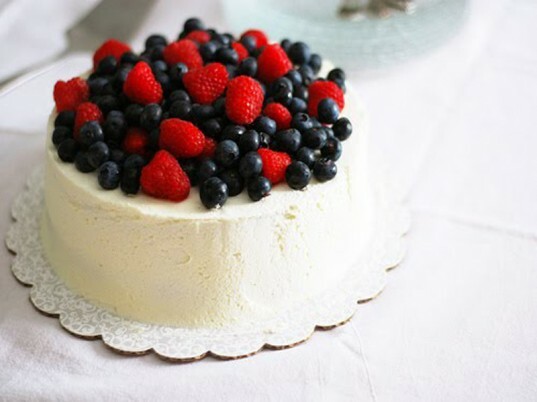 This yummy gluten-free vanilla cake is topped with an assortment of fresh strawberries, and blueberries – piled high. 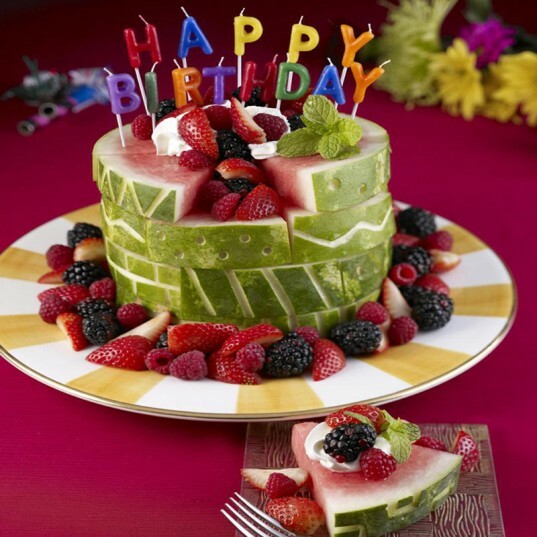 If you are looking for a sweet birthday treat that is gluten and sugar-free, look no further than this watermelon and berry “cake.” It is simply made by cutting a watermelon up into wedges and then stacking them on top of each other in a cake formation. Fill the cracks, top and outer edge with berries and you have the perfect healthy sweet treat for that special someone in your family. You can add a carved design around the rind of the watermelon and even top with whipped topping before serving. If you are looking for a cake that will make your party goers ooo and ahh at the very sight of it, consider baking a gluten-free vegan fudge cake layered with strawberry coconut frosting and strawberries. 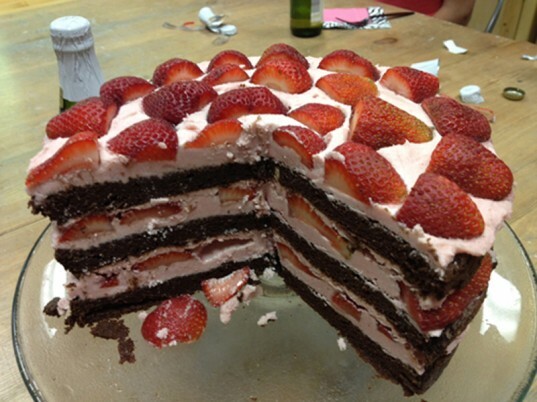 Not only is this cake an eye-pleasure, the thick strawberry layers have me drooling on my keyboard. This cake looks like a fancy, chocolate version of the strawberry shortcake — a classic recipe that is sure to please everyone! 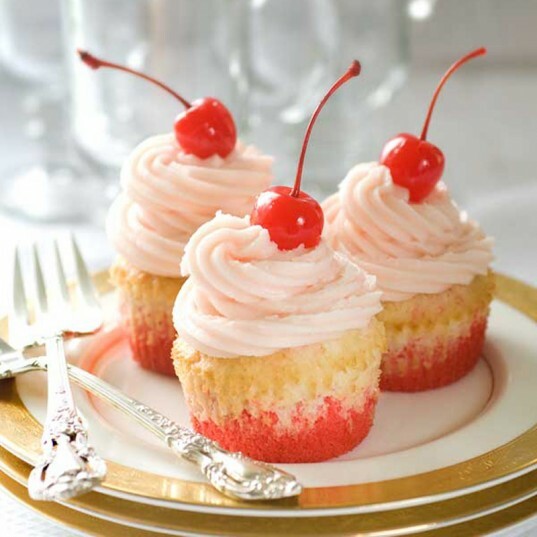 What happens when you mix yummy cupcakes with the cherry sweetness of a Shirley Temple? Cupcake perfection. These cupcakes are super cute and the perfect color for a birthday party — and they’re topped with a cherry too! I would recommend using a natural red food colorant and organic soda for the recipe to create a cupcake everyone will enjoy. I am a huge fan of a tart instead of a traditional birthday cake – I love the taste, the fruit and really love how a tart looks sitting on the dining room table. This summer berry and yogurt gluten-free tart may be my favorite in this round-up. The combination of berries and yogurt all inside a gluten-free crust are perfect for a birthday party – or any party. If you are looking for a sweet treat that marries both cake and ice cream in one sweet little package – look no further than an ice cream sandwich. 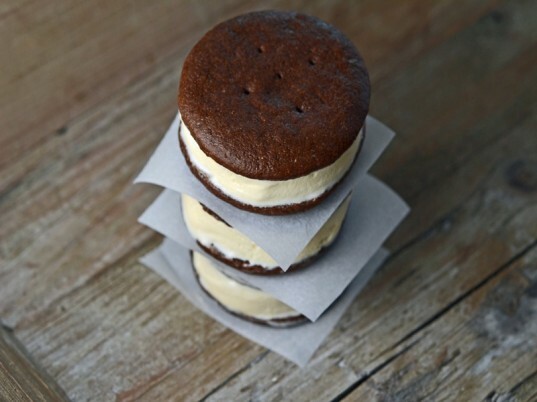 These gluten-free chocolate and vanilla ice cream sandwiches look better than any that you will find in the frozen food section. Ice cream sandwiches are the perfect treat for children, just the right amount of sweetness, and who doesn’t love this winning combination? One of the best options for a birthday treat is a cupcake - easy to transport, just the right serving size and perfect for little hands to hold. 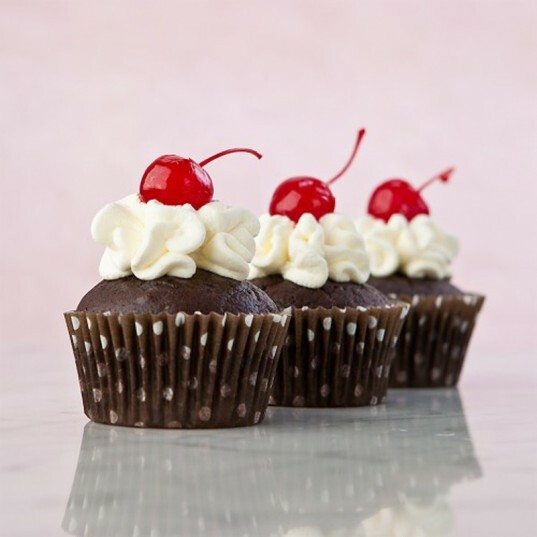 What makes a cupcake even better is when it comes complete with chocolate, whipped topping and a cherry on top! These gluten-free chocolate sundae cupcakes just scream birthday party - but we won't hold it against you if you enjoy them out of the blue every now and again. My all time favorite birthday cake is vanilla - it is just so simple and it tastes delicious paired with any ice cream. This yummy gluten-free vanilla cake is topped with an assortment of fresh strawberries, and blueberries - piled high. 3. Watermelon and Berry Fruit "Cake"
If you are looking for a sweet birthday treat that is gluten and sugar-free, look no further than this watermelon and berry "cake." It is simply made by cutting a watermelon up into wedges and then stacking them on top of each other in a cake formation. Fill the cracks, top and outer edge with berries and you have the perfect healthy sweet treat for that special someone in your family. You can add a carved design around the rind of the watermelon and even top with whipped topping before serving. + Watermelon and Berry "Cake"
If you are looking for a cake that will make your party goers ooo and ahh at the very sight of it, consider baking a gluten-free vegan fudge cake layered with strawberry coconut frosting and strawberries. Not only is this cake an eye-pleasure, the thick strawberry layers have me drooling on my keyboard. This cake looks like a fancy, chocolate version of the strawberry shortcake -- a classic recipe that is sure to please everyone! What happens when you mix yummy cupcakes with the cherry sweetness of a Shirley Temple? Cupcake perfection. These cupcakes are super cute and the perfect color for a birthday party -- and they're topped with a cherry too! I would recommend using a natural red food colorant and organic soda for the recipe to create a cupcake everyone will enjoy. I am a huge fan of a tart instead of a traditional birthday cake - I love the taste, the fruit and really love how a tart looks sitting on the dining room table. 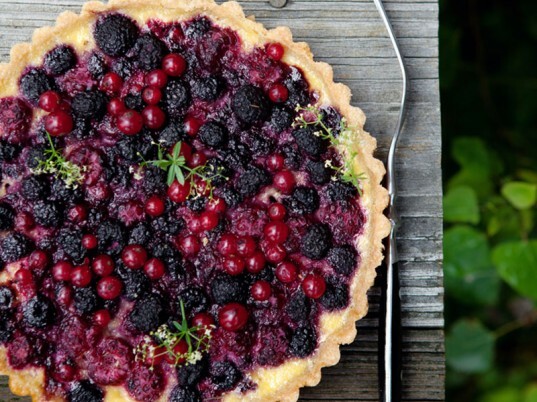 This summer berry and yogurt gluten-free tart may be my favorite in this round-up. The combination of berries and yogurt all inside a gluten-free crust are perfect for a birthday party - or any party. If you are looking for a sweet treat that marries both cake and ice cream in one sweet little package - look no further than an ice cream sandwich. These gluten-free chocolate and vanilla ice cream sandwiches look better than any that you will find in the frozen food section. Ice cream sandwiches are the perfect treat for children, just the right amount of sweetness and who doesn't love this winning combination?